West Chester Fire Department reached nearly 22,000 people through various prevention programs last year. West Chester Fire Department officials credit the community’s receptiveness to its fire prevention and outreach efforts for the large disparity between trends of national versus local home cooking fires. Cooking fires – the leading cause of residential fires and injuries in the United States – accounted for less than 10 percent of all fire response calls in West Chester while accounting for approximately half of all residential fire responses nationwide during the same three year period. According to a December 2018 report published by the U.S. Fire Administration, fire departments in the United States responded to an estimated average of 188,800 cooking fires in residential buildings from 2014 to 2016. These fires caused an estimated 195 deaths and 3,800 injuries with $463 million in property loss. 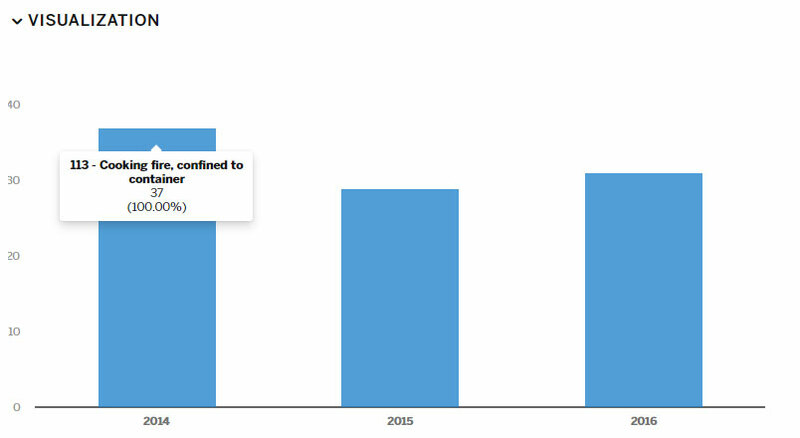 By comparison, Township data available via OpenGov showed West Chester averaged 32 cooking fires per year in that same period. Cooking fires accounted for 6 to 8 percent of all fire-related calls and less than one percent of total calls for service in each of the three years. The disparity may be explained, in part, by West Chester’s fire prevention program. In 2018, first responders reached nearly 22,000 people through various prevention programs, said Fire Chief Rick Prinz. “Each year West Chester’s fire personnel reach thousands of our residents to build and foster relationships and to arm our citizens with important fire prevention and life safety practices,” Prinz said. installing and demonstrating proper maintenance of smoke and carbon monoxide detectors. The OpenGov platform tracks and categorizes all fire and EMS calls for response. Categories include fire response of all kinds, motor vehicle accidents, fire alarm system and smoke detector activation, gas leak and hazmat incidents, and more. Data is available looking back the previous five years, and it is updated online by the 20th day of each month. In 2018 alone, there were 6,690 total calls to the West Chester Fire Department for service, or about 18 per day. Of those, 4,607 were for medical service, accounting for a 1 percent decrease from the year prior, and 2,083 were for fire-related emergencies, accounting for a 2.28 percent increase from the previous year. 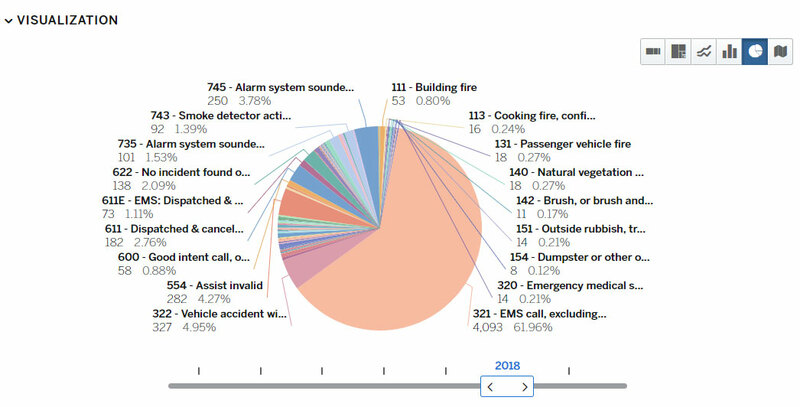 Only 181 total calls in 2018 were for response to actual fires requiring suppression. “The fire department takes pride in continuous positive improvement to ensure our residents and businesses get the best all-hazards service possible,” Prinz said. Fire prevention outreach extends to local businesses, as well. Last year, the fire department reviewed 470 blueprints while performing fire safety inspections and 856 re-inspections to ensure compliance. “As we are working to make our department’s data collection more representative, we would encourage our residents to check out the data that is available through our open-data platform on our website,” Prinz said. The public can further explore OpenGov data, across all departments, from anywhere with an Internet connection. Get started at https://westchestertownshipbutleroh.opengov.com.